Hyper Jam, developed by Bit Dragon, is one of those games that sells you on its goods immediately. When you fire it up for the first time you’re thrown into a sequential tutorial to teach you the concepts you’ll need to survive against your friends or online foes. I was sold right when I fire-punched my opponent to the sweet beats of a neon futuristic soundtrack. The game then asked me to jump in front of a train. I went for it. 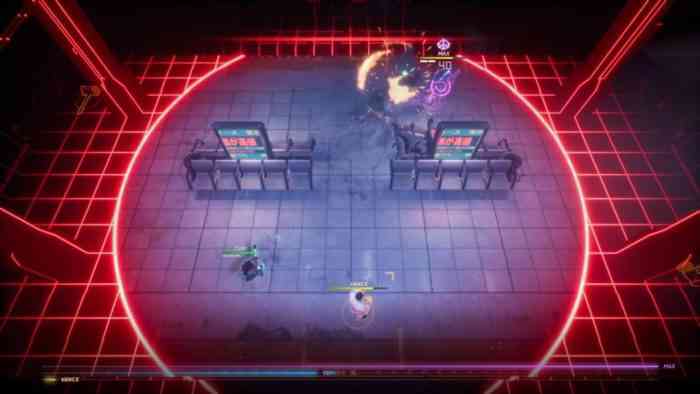 At its core, Hyper Jam is an isometric, twin-stick arena brawler that supports up to four players in deathmatch like modes. As you win rounds you fill up a meter. Once you’ve won enough matches to max out your meter, the next round will task you with winning it again. If you can survive against your foes, you’ll win the entire match. Lose the round and you give your opponents a chance to catch up, fill their meter, and join you for a chance at victory. Each round starts you out unarmed and quickly spawns weapons randomly on the map. These range from melee weapons like katanas and hammers to grenade launchers and rocket launchers. Mayhem ensues and it’s an absolute joy. Once a round ends a selection of perks are displayed in the form of cards you can choose from. Each player can pick only one each, leaving the remaining options to the next player, which can provide a bit of strategy as you can take perks to prevent others from getting them. The perks themselves can leave your opponent frozen, burn them (my favorite), give you more health, or even life leech. The game also allows you to stack perks, making them more and more powerful over the course of a match. I found myself caught up in the adrenaline and pace of each fight – doing my best to master the parry, a move that when timed correctly reflects all incoming projectiles back where they came from. Environmental hazards like trains, holes opening in the floor, shifting cover provide enough variety from map to map to keep you and your friends on point. Should a round start to run long, sudden death kicks in and a circle zone shrinks the playable area, forcing the fight. Oh, and I how can I forget to mention the soundtrack and art direction. It all shines, figuratively and literally. The UI is distinctly neon 80’s futuristic, and the soundtrack is something I could loop on Spotify easily. Even the announcer is in on the panache, shouting FIGHT every time a round starts. 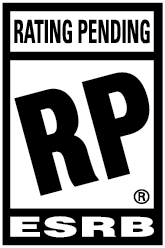 My only gripe is that, content-wise, there’s not a ton here (if you can call it a gripe for such a modestly priced game). You can unlock skins and taunts for your favorite character—though I wouldn’t have minded more in the weapon and map department. That said, Hyper Jam is a small indie game that does what it does very well and I’m sure Bit Dragon will add to what’s here should the community respond well.